Spinner bottle opener with dual nickel plated steel bottle openers. Steel bearings for fast spinning action. 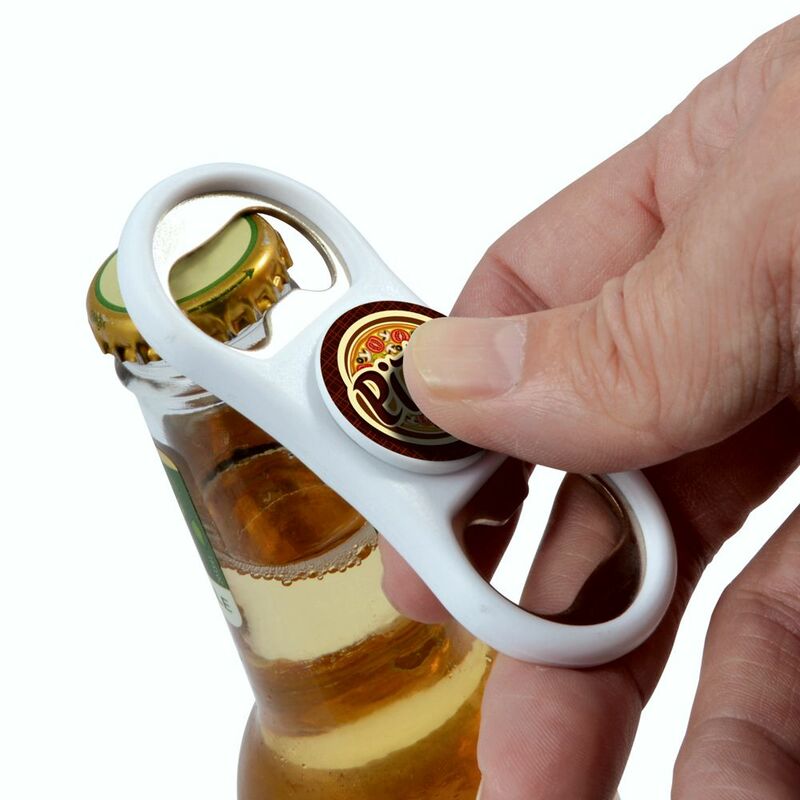 Centre is printed with your logo on one side of the bottle opener in full colour. Function & novelty! Function and novelty. Everyone will want one!